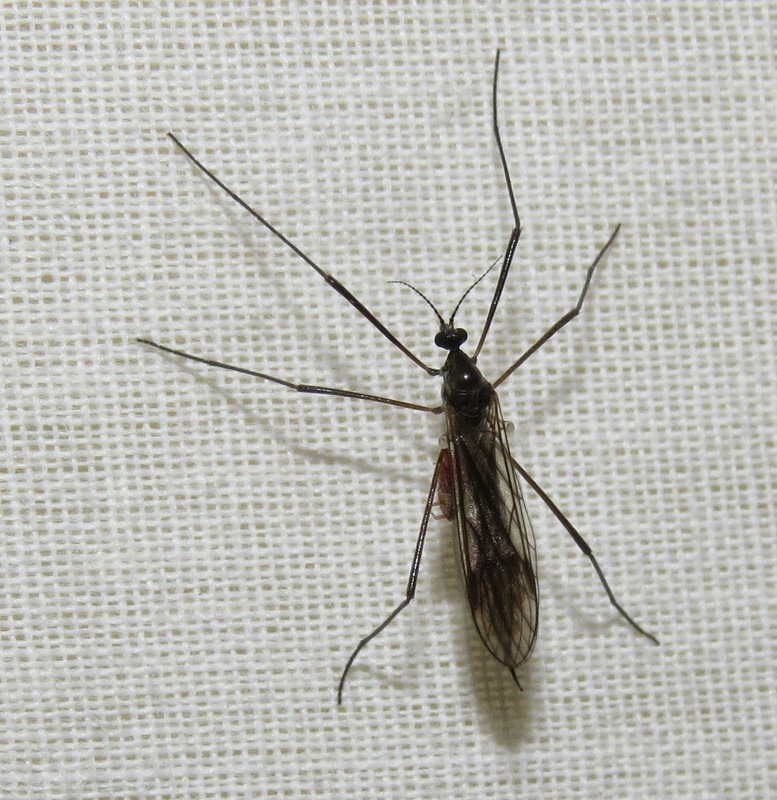 Yes, the image below is of a crane fly in the family Limoniidae, but what is that other thing attached to it? 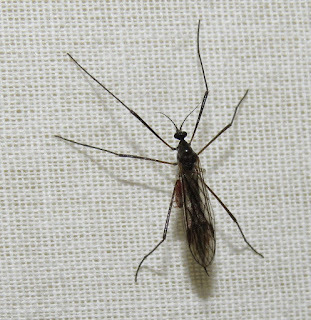 The crane fly showed up at our backyard blacklight a few nights ago in Colorado Springs, and by itself would have been interesting. Its hitchhiking companion made it even more spectacular. 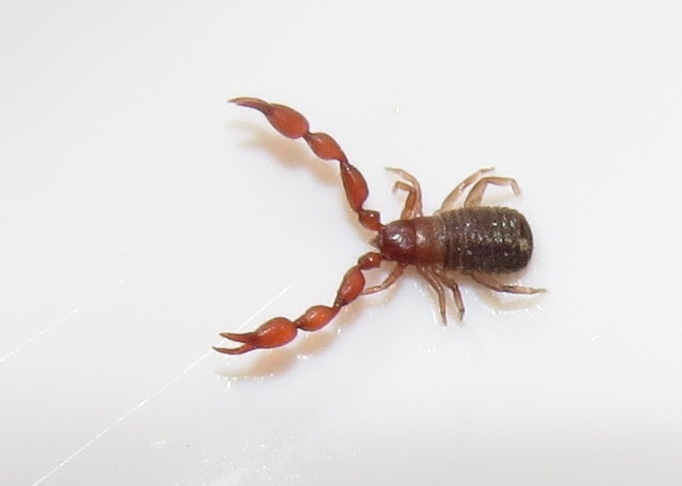 Pseudoscorpions are tiny arachnids, most of them under five millimeters in length, that never fail to provoke head-scratching among people unfamiliar with them. They look like they could be baby scorpions that are missing their telson ("tail"), but they are literally in an order unto themselves: Pseudoscorpiones. They are fairly common, but seldom seen because they frequent microhabitats under bark on trees, stumps, and logs, or leaf litter or topsoil, or in mammal nests or caves, or other places that require a dedicated effort to uncover them. It is only those species that occasionally turn up in our "caves" (homes) that catch our attention. I wrote about pseudoscorpions previously, for Missouri Conservationist magazine, thanks to fantastic photographs by Ashley Bradford and Ted MacRae, but this week's find finally allowed me my own imaging opportunities. It is interesting that the insects favored as transportation by pseudoscorpions are frequently those associated with decaying wood: longhorned wood-boring beetles (Cerambycidae), braconid wasps that are parasites of wood-boring beetles, and in this case a female crane fly which I would bet oviposits (lays eggs) in decaying wood. 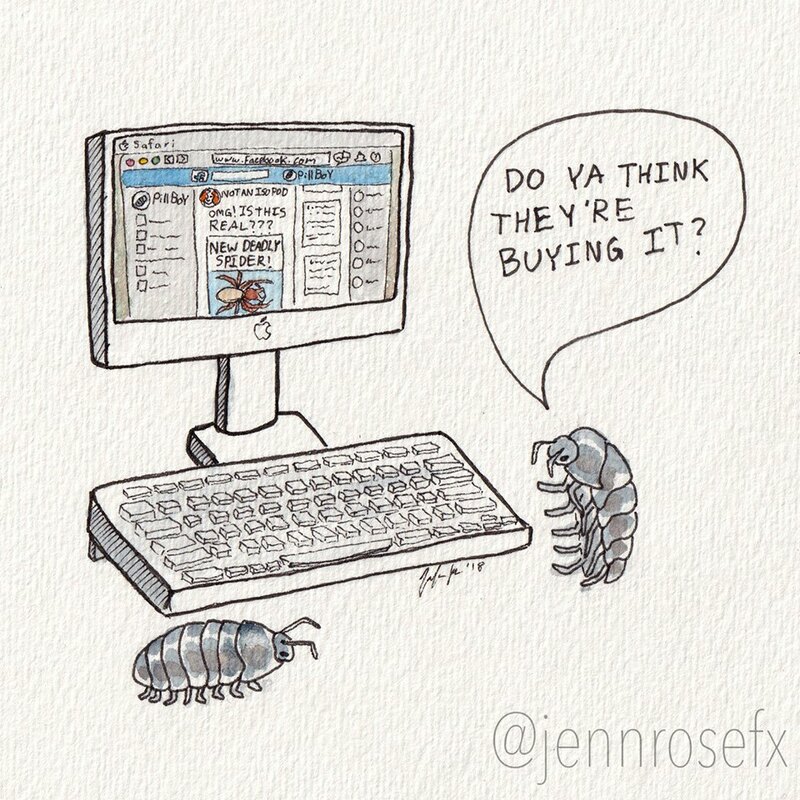 Pseudoscorpions are predatory on other small invertebrates such as springtails, barklice, fly larvae, and mites. They seize their prey with the pincer-like chelae at the ends of their "arms." Those heavy, muscular appendages are actually modified mouthparts called pedipalps. Many species of pseudoscorpions have venom glands in the chelae that help subdue struggling victims. From there, the prey is passed to the plier-like chelicerae, or jaws, that puncture the body wall of the prey, or crush it, and allow for the introduction of regurgitated enzymes to begin the extraoral digestive process. 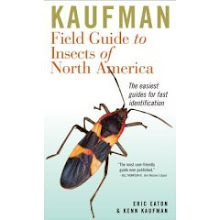 The resulting liquified material is then ingested by the pseudoscorpion. Bizarre? We are just getting started. The chelicerae also house silk glands, and pseudoscorpions spin silk to encase clutches of eggs, for shelter during molting and overwintering, or even as a retreat from which they can wait in ambush for unsuspecting prey to pass within reach. 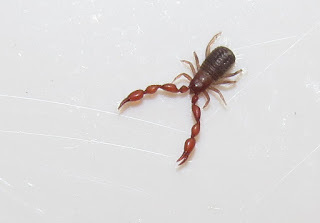 Using another animal for transportation is a behavior called phoresy, and that appears to be the chief means of dispersal for pseudoscorpions. They do not have wings, after all, and are so tiny that getting from one optimal niche to another under their own power is almost impossible. 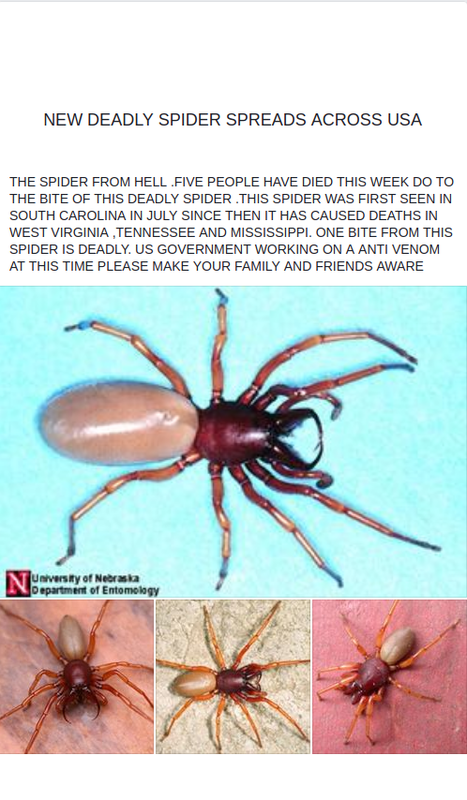 Also, they do not "balloon" as many spiders do, spinning silken threads that are caught by the wind and waft the spider to a new home. 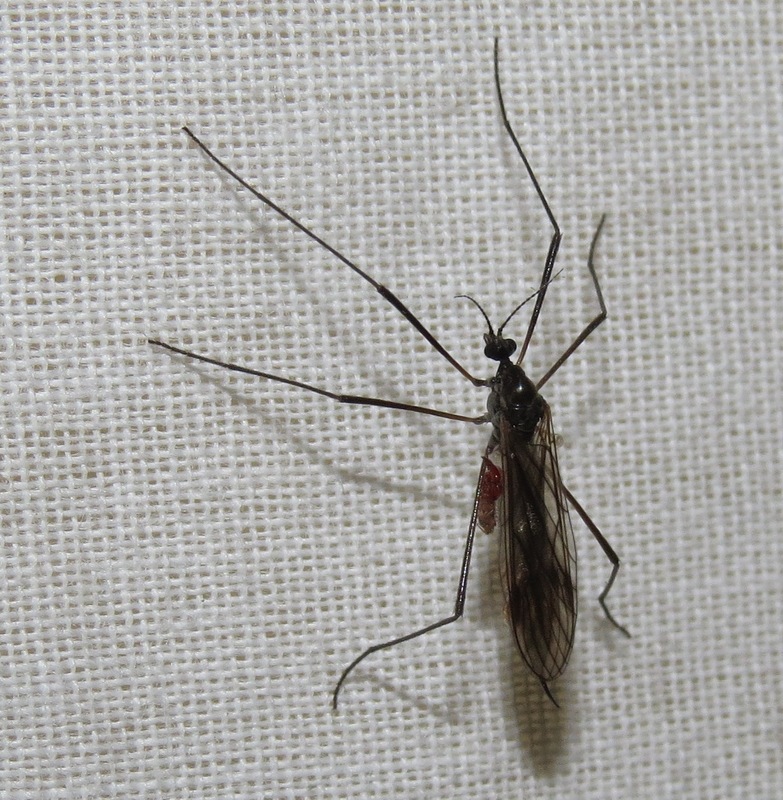 After the crane fly died, the pseudoscorpion disembarked and I was able to get the images you see here. I discovered they are much more agile than I anticipated. This one could scuttle backwards fairly rapidly, run forward quickly, and it could easily climb the slick walls of our casserole dish "studio." Maneuvering the tiny creature with an artist's paintbrush was challenging since the animal could simply grip a single bristle and refuse to let go. 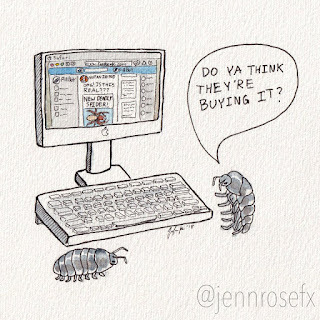 The social life and love life of pseudoscorpions is surprisingly complicated. Members of some species can live side by side without antagonizing each other, displaying unique and rhythmic movements of their bodies and/or pedipalps to communicate. Meanwhile, courtship between male and female in nearly all species is accomplished through a variety of behaviors. In all cases, the male packages his sperm in a spermatophore. In the most primitive scenario, he simply deposits on the ground or other substrate where he hopes a female encounters it. She will then pick up the spermatophore in her genital opening. 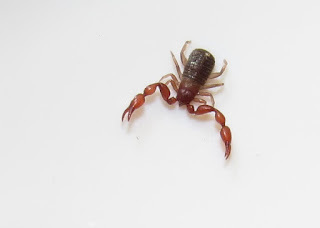 Males of other pseudoscorpion species will only deposit a spermatophore if they encounter a female. These males may then spin a simple or elaborate, three-dimensional silken bower to help funnel the female to the location of the spermatophore. This greatly improves the male's chances of reproductive success. 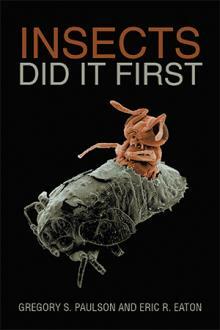 Mating can be more intimate in the most "advanced" species. This involves what is best described as dancing, the male grasping the female's pedipalps in his, and gently but firmly guiding her over the spermatophore he has just deposited. There may be subtle choreography and pre-programmed body movements involved in that. They may even kiss, if you will, interlocking their chelicerae. Despite the extent of our collective knowledge of pseudoscorpions, new species are discovered with a surprising degree of regularity. Those who study caves and other specialized habitats; and those who study rodents and other vertebrates, would be wise to keep their eyes out for pseudoscorpions. Meanwhile, carefully inspect the insects at your porch light and you might eventually find one of these arachnids on an insect attracted by your beacon. 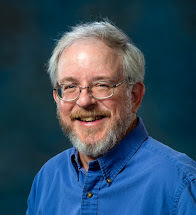 Sources: Johnson, Elizabeth A., and Kefyn M. Catley. 2002. Life in the Leaf Litter. New York: American Museum of Natural History. 28 pp. Weygoldt, Peter. 1969. 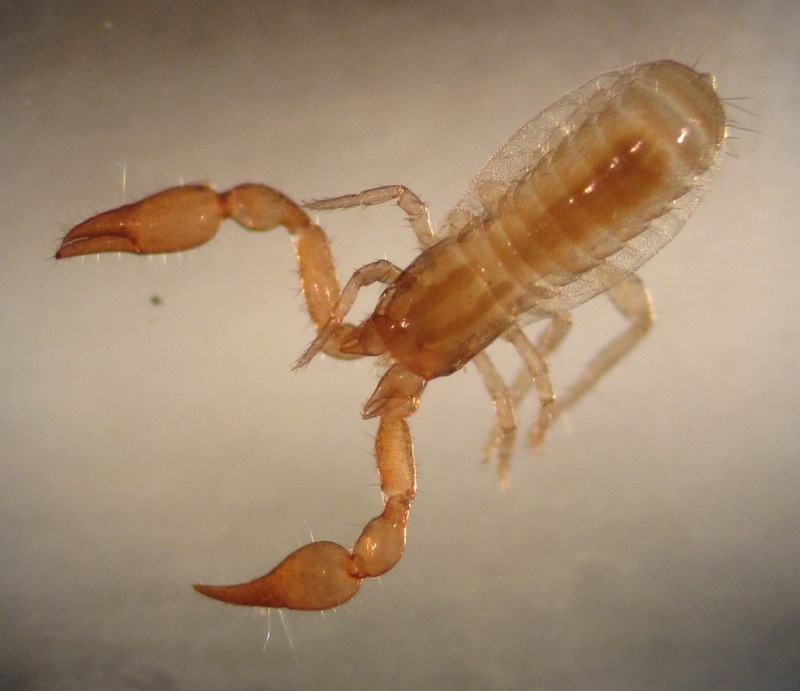 The Biology of Pseudoscorpions. Cambridge, Massachusetts: Harvard University Press. 145 pp.